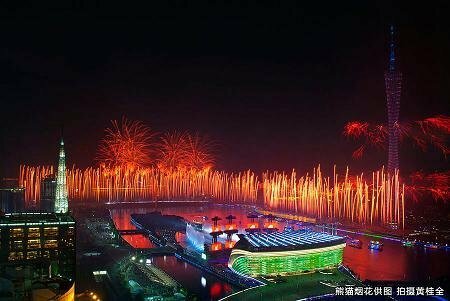 In the evening of November 3, the first rehearsal of fireworks show for the Guangzhou Asian Games was held. 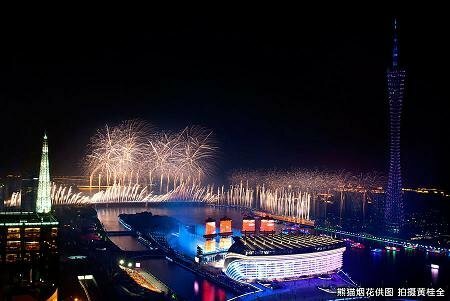 When the earsplitting display shells were ignited in the sky, the resplendent and dazzling fireworks blossomed above HaixinshaIsland, GuangzhouTower, LiedeBridge and Pearl River. 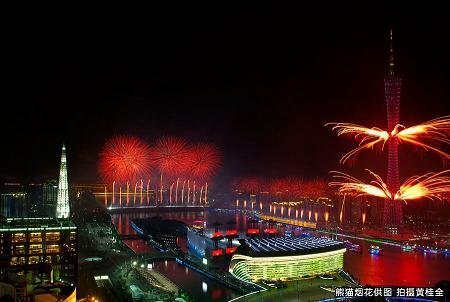 The rehearsal lasted from 20:00 to 22:30 at Haixinsha Square which was crowded with the audience watching the fireworks and also became a heaven of fireworks. 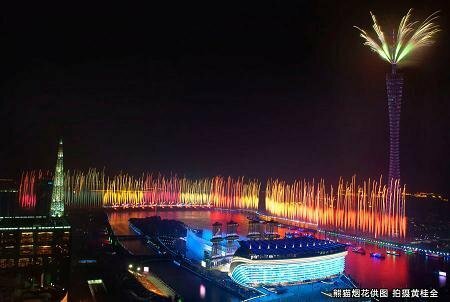 The audience was excited and cheered when the fireworks were ignited. 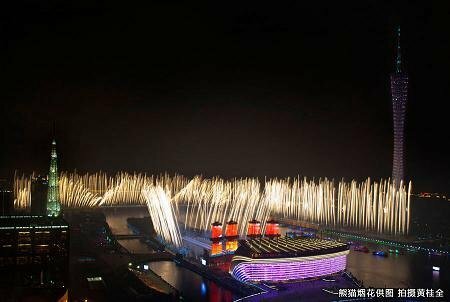 After the fireworks rehearsal was finished, Mr. Zhao Weiping, Vice General Commander and Executive General Commander of fireworks display for Guangzhou Asian Games as well as Chairman of Panda Fireworks Group, said that the fireworks show in the evening of the opening ceremony would be more wonderful and spectacular and there would be more places for fireworks show too. All these would deeply impress the audience.